I am a GI oncologist and a clinical cancer geneticist, and I have found over the years that my strongest skills are in helping my patients and their families to understand the complicated risks of cancer screening, surgery and treatment, to weigh the different options for treatment, and finally to develop a plan that is both in line with cutting edge research but also with their personal needs and preferences for their health and their lives. In cancer medicine, there is no longer a one size fits all approach, and in my practice I strive to build on my patients’ unique strengths and to further bring the multi-faceted expertise of my colleagues at Fox Chase and my colleagues nationally to offer each of my patients the best care I possibly can. Working for the Willingboro School District in New Jersey and the Colonial School District in Delaware, as an educator for over 25 years, I know the value of good health insurance. I never took for granted the benefits provided to me by the state, and that meant making sure I routinely got a colonoscopy. They aren’t fun, but they might save your life – they saved mine. ​As a nurse, I thought I had a good handle on my health. But in 2015, I went for a colonoscopy because I’d been experiencing rectal bleeding, and instead of a diagnosis I got the surprise of a lifetime. When I started experiencing chronic and uncomfortable digestive issues over the course of two years, my primary care doctor prescribed heartburn medication, and I made changes in my diet. During that period, I often had an achy, acidy stomach, and I was taking Tums all the time. When the symptoms continued, my doctor referred me to a gastrointestinal specialist who conducted an endoscopy to examine my digestive tract in 2015. I had already been experiencing intermittent blood in my stool for about six months when I raised my concerns with my primary care doctor. She referred me to a gastrointestinal specialist who ordered a colonoscopy at a community hospital near my home in Bucks County. That colonoscopy at age 50 likely saved my life. The Risk Assessment Program at Fox Chase looks at your personal and possible inherited genetic factors that may put you at higher possibility for getting cancer. 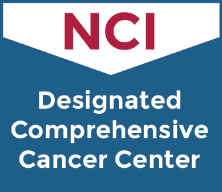 We comprehensively examine your profile for all cancer types, including — but not limited to — breast cancer, ovarian cancer, gastrointestinal cancers, prostate cancer, and melanoma. Knowing your risk helps you learn what you can do to lower your chances of getting cancer. The Department of Clinical Genetics is built on the success of Fox Chase's Margaret Dyson Family Risk Assessment Program (now Risk Assessment Program), which Dr. Mary Daly began in 1991. A high-risk screening clinic was developed for individuals with a family history of breast or ovarian cancer. In addition to the clinic, genetic counseling was provided for both high risk and breast and ovarian cancer patients. As the clinic developed, it became clear that it was important to provide consultations for biopsy findings that put women at increased risk. Since then, Fox Chase has expanded risk assessment services to those at high risk for all cancers. Arora S, Yan H, Cho I, Fan HY, Luo B, Gai X, Bodian DL, Vockley JG, Zhou Y, Handorf E, Egleston B, Andrake M, Nicolas E, Serebriiskii IG, Yen TJ, Hall MJ, Golemis EA, Enders GH. Genetic Variants That Presdispose to DNA Double-strand Breaks in Lymphocytes from a Subset of Patients With Familial Colorectal Carcinomas. Gastroenterology. 2015 Sep 4. pii: S0016-5085(15)01259-7. doi: 10.1053/j.gastro.2015.08.052. [Epub ahead of print]. Guindalini RS, Win AK, Gulden C, Lindor NM, Newcomb PA, Haile RW, Raymond V, Stoffel E, Hall MJ, Llor X, Ukaegbu CI, Solomon I, Weitzel J, Kalady M, Blanco A, Terdiman J, Shuttlesworth GA, Lynch PM, Hampel H, Lynch HT, Jenkins MA, Olopade OI, Kupfer SS. Mutation spectrum and risk of colorectal cancer in African American families with Lynch Syndrome. Gastroenterology. 2015 Aug 3. pii: S0016-5085(15)01084-7. doi: 10.1053/j.gastro.2015.07.052. [Epub ahead of print]. Nicolas E, Arora S, Zhou Y, Serebriiskii IG, Andrake MD, Handorf ED, Bodian DL, Vockley JG, Dunbrack RL, Ross EA, Hall MJ, Golemis EA, Giri VN, Daly MB. Systematic evaluation of underlying defects in DNA repair as an approach to case-only assessment of familial prostate cancer. (Accepted Sept 2015, Oncotarget NIHMSID # 722094). Meyer JE, Cohen SJ, Ruth KJ, Sigurdson E, Hall MJ. Young age increases risk of lymph node positivity in early stage rectal cancer. (Accepted Sept 2015, JNCI). Hall MJ, Forman AD, Montgomery SV, Rainey KL, Daly MB. Understanding patient and provider perceptions and expectations of genomic medicine. J Surg Oncol 2014. Hall MJ, Herda MM, Handorf EA, Rybak CC, Keleher CA, Siemon M, Daly MB. Direct access to universal mismatch repair (MMR) screening results for Lynch syndrome (LS) via electronic personal health record (ePHR):A feasibility study.Genet Med. 2014 May 1. Matro JM, Ruth KJ, Wong YN, McCully KC, Rybak CM, Meropol NJ, Hall MJ. Cost-sharing and hereditary cancer risk: predictors of willingness-to-pay for genetic testing. J Genet Couns. 2014 May 6. Hall MJ, Manne SL, Myers RE, Keenan EM, Balshem AM, Weinberg DS. Association of knowledge and race to gene environment risk assessment (GERA) testing for colorectal cancer Genome Med 2012;4(11):92 [epub ahead of print] PMID: 23194586. Hall MJ, Ruth K, Giri VN. Predictors of compliance with age-appropriate colorectal cancer screening in men enrolled in a prostate cancer screening program. Cancer 2012 Jan 15;118(2):478-84. Appreciated taking the time to explain and answer our questions. Doctor ordered a test, promised to call with results, I called them and still did not get results - so I had to go some where else. Recommend anyone that needs services. Dr. Hall is a very good dr. He listens to you and explains it term you understand. Dr. Hall and all the Fellows are extremely friendly, knowledgeable and take the time to address any and all concerns I have. Dr. Hall has been a fantastic doctor for me. I have been a patient for nearly 10 years now. [...] is also terrific.